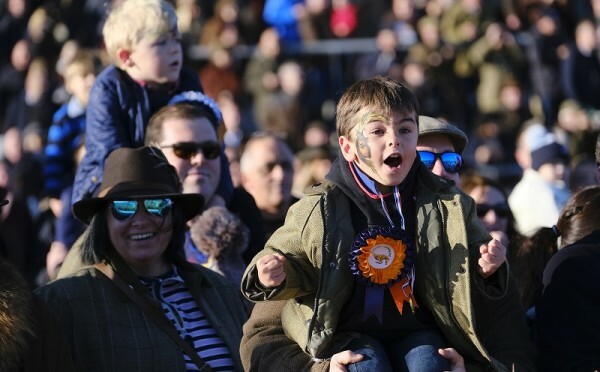 March 2019 – As Festival fever begins to settle down, Wednesday 17th and Thursday 18th April sees Family Fun return to Cheltenham Racecourse for our two day race meeting during the Easter Holiday. Complimentary entertainment will be aplenty for our younger racegoers with popular Showtime Shane making an appearance, as well as face painting, colouring in and walking pet balloons. The first 1000 children through the gate will receive a FREE Easter egg. "It's a great opportunity for a family day out at the April meeting as this year it falls a week before Easter, says Regional Director Ian Renton. “As well as quality racing, we have plenty of complimentary entertainment available for our younger racegoers throughout the day." The two day meeting features some high level racing, with last year producing a Festival worthy race in the £60,000 Grade Two Barchester Healthcare Silver Trophy Chase with Traffic Fluide coming out on top. Day Two is dedicated to all mares for a second year running. Cheltenham Racecourse introduced the first all mares’ card in Jump racing last year and are pleased to see it return for another year. More information is available online at Cheltenham.co.uk or call 0344 579 3003 to book tickets.